Here’s how to turn on sync for Messages in iCloud with iOS 11.4, macOS 10.13.5 or later for iMessage and other text messages. Apple first announced Messages in iCloud way back during WWDC last year, but while it did briefly make an appearance during the initial beta release of iOS 11, it was removed in subsequent releases and never found its way into the shipping version that everyone installed back in September. 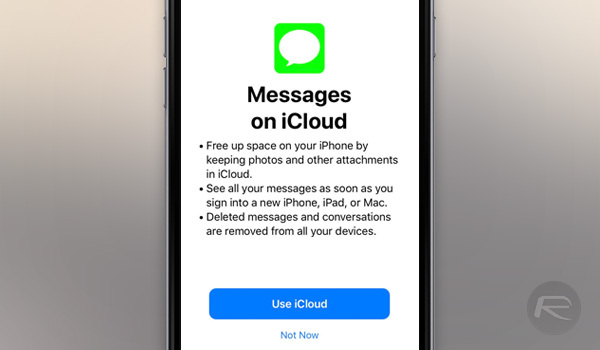 That is the way things have been ever since, too, but with the initial beta of iOS 11.3, Apple again offered Messages in iCloud for beta testers to try out, and now with iOS 11.4 final, it’s available to everyone. The pull of Messages in iCloud is obvious. As things stand, messages are not synced across multiple devices, meaning that even if you do have messages appear on every device you own, there is still the possibility that they will be out of order depending on spotty network connections, etc. Having the messages saved in iCloud rather than on devices fixes that issue. 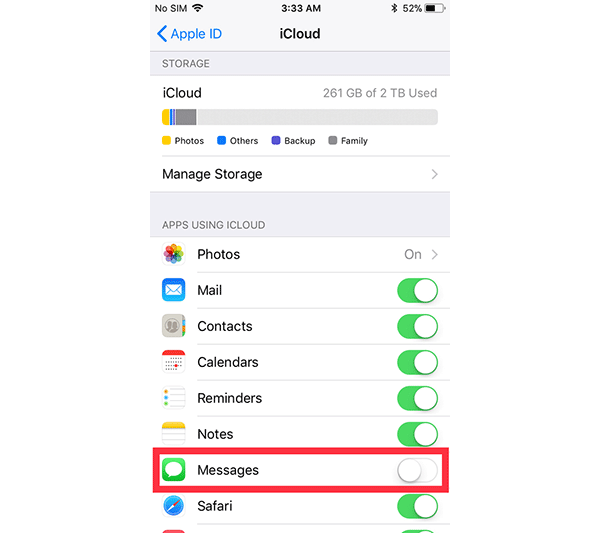 If you want to enable Messages in iCloud, here is what you need to do. Step 1: Download and install iOS 11.4. Step 2: Enable Messages in iCloud by opening the Settings app, selecting your Apple ID, and then tapping iCloud. Now you just need to toggle Messages to the “On” position. Step 3: This step may not be required if it is already enabled, but if not, you will now be prompted to set up two-factor authentication. If you already use Apple Pay, then this will likely already be done, though. Step 4: You’re all done! As a bonus, and if you are using a Mac with macOS 10.13.5 installed, then you should be prompted to turn Messages in iCloud on once it has been enabled via iOS. If not, head to the Messages app, followed by Preferences. Next up, click on the Accounts tab and then select your iMessage account over on the left side of the window. Finally, tick the box labelled Enable Messages in iCloud. As my iCloud (5gb) had around 1gb free, what happens when iCloud tried to save/sync my messages and I have 3gb of videos and pictures included in my imessages. Will it only save the text or not save at all? One thing worth noting. After turning this feature on in the iPhone and enabling the setting in Account settings in the Messages app on macOS, you have to sign out of your account on macOS and then close Messages. Then relaunch the Messages app. Only then will your older messages sync. Why do you need 2TB on icloud if you don’t even use 10% of it ? (as in the snap above). Too much money to spare ? You can see in the screenshot that they are using 261GB. The available Tiers are 5GB, 50GB, 200GB, and 2TB. You’ll get prompted to purchase more storage. If you don’t, things like device backups and iCloud drive will start failing due to lack of space. I take it I still can’t send an iMessage through some website/program on my PC?